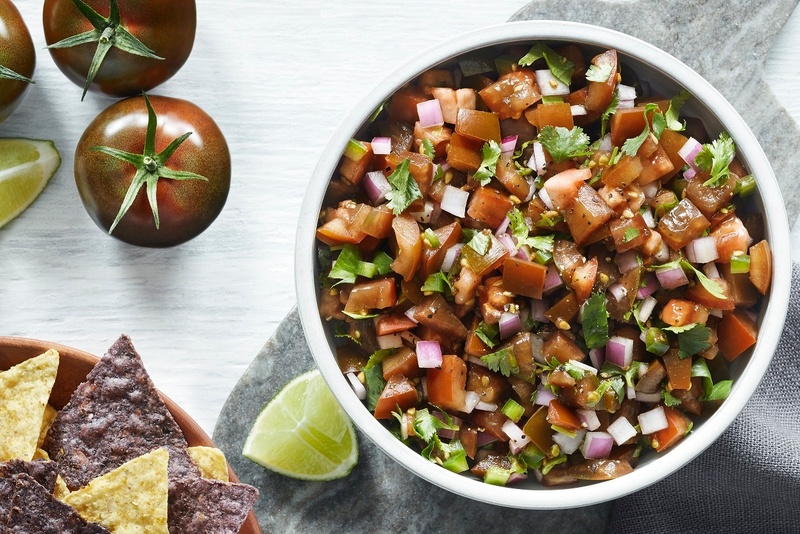 So whether you need to feed your hunger for football this weekend or just feed your hunger for easy, delicious snacks that happen to be perfect for game day get togethers, we’ve come up with next-level salsa and guacamole recipes everyone can enjoy! In a medium bowl, combine all ingredients, except olive oil, and stir gently. Let sit for 10 minutes to allow flavors to develop. Dress with olive oil and serve with plenty of tortilla chips. In a bowl, mash together 1/2 of the Campari® tomatoes and the first 5 ingredients using a fork. Fold the remaining ingredients in and season with salt and pepper to taste. Serve fresh with tortilla chips.